Little, Brown Books for Young Readers, 9780316298681, 432pp. Dawn Kurtagich is a writer of psychologically sinister fiction, and she has a dark and twisted imagination! She lives in Wales, an ancient and mountainous country within the UK (go to England's Midlands and turn left towards the sea). However, she grew up all over the world, predominantly in Africa. She writes and blogs for YA Scream Queens and is a member of the YA League. The Dead House is her first novel. 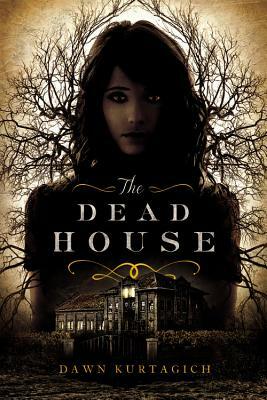 "All I could think when I finished THE DEAD HOUSE was that the author, Dawn Kurtagich, has an amazing mind. Creepy, but amazing. I loved it." "Full of twists, buried secrets, and enough disturbing corpses to please the most discerning horror lover, THE DEAD HOUSE is a thoroughly engrossing read. Diary entries, psychiatrist records, and transcripts from the investigation keep the pages turning late into the night. This is a harrowing tale, cleverly told." "Told through a retrospective collection of found evidence surrounding the deaths of several students in a boarding school fire, Kurtagich's debut novel is deeply disturbing and fraught with emotion."